Dr. Sheetal Sharma is a dentist in Jacksonville, IL, USA. Dr. Sheetal Sharma provides diagnosis and treatment of oral diseases including cavities, gum problems, root canal etc. Their practice also provides services such as dental cleaning, diagnostic X rays. You can find contact information, phone number, office address, read patient reviews and make appointments for Dr. Sheetal Sharma. Our entire family sees Dr Sharma and we all love her and the staff! Very accommodating and patient. Does great work! 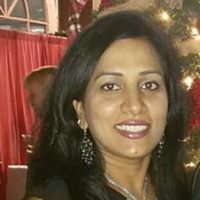 Recently moved to Jacksonville, will highly recommend Dr. Sharma's practice. Seen her multiple times. My mother had problems with existing crown and toothache. Saw Dr. Sharma and everything was explained very well. Staff very polite and helpful. Are you Dr. Sheetal Sharma or a manager for this practice? Claim your profile for free! You can update your picture, qualification and description. You can respond to patient reviews for free.